Everyone's betting big on India's start-up culture. And we do have young entrepreneurs mushrooming across the country. Some become names to reckon (read Snapdeal and Flipkart, Housing.com) with while others fade away with time. While ideation, execution and sustainability are the basic mantras for a start-up, it is the nitty-gritty involved in these stages of a new company, which makes a start-up a roaring success. "In the complex world of entrepreneurship, it is difficult to avoid operational and strategic missteps. But the real reason a large number of entrepreneurs feel dispirited is the feeling that their enterprise has gone the wrong way. Whether it is the product/market fitment, scalability, or other managerial issues, one should not give up before all the key elements have been tried and tested," said Utkarsh Joshi, Principal at the HR Fund. BI India lists down the basic factors that come into play when one thinks of starting a new venture. People are the biggest asset of any company. And when the company is new, the right kind of leadership is extremely essential. "Many experts believe that two people in the founding team are considered ideal as with increasing number of founders, the company's value is shared accordingly. However, what is really important to be mentioned is that more than the number, it is critical for the founder of the company to carefully choose the right mix of co- founders with him/her who bring in the right expertise and culture to the table. Founders need to realize their strengths and weakness," said Joshi. "A well-informed management team is considered good on strategy's and would be able to minimize the risks at various aspects of business. It not only starts with putting together a right product but also validating its usability at several instances (before and during development) for necessary checks and balances and thereafter right planning to enter the market. The management also owns the responsibility for scheduling the above aspect for rightful gains," said Joshi. Besides, a good management team plays a pivotal role in the kind of talent the company ultimately gets, thus penning down the fate of the start-up. 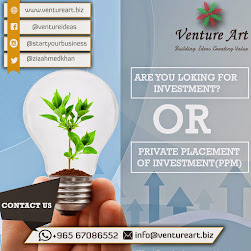 Valuation of a company is very important at every stage of its life cycle. It is this valuation that gives confidence to investors to fund a certain start-up. Every year, several start-ups that receive seed funding at the time of inception, fail to raise funding at later stages. This happens because the valuation of the start-up has dropped significantly for investors to bet their money on it. But there have been times when a company, whose valuation had dropped, manages to gain more after taking corrective steps, thus attracting the investors' attention once again. "Companies progress and fail at various stages of funding, reflecting on their valuations. Though it varies from one industry to another, increase in valuation is an important milestone to be worthy for next round of funding. However, it is also required to mention the risks of blowing up the valuation too much, which leads to a potential investor/VC shying away at times and making it difficult to go for the future round of funding," he explained. But how do we measure a company's valuation? Well, it's simple! The company's ability to make inroads in a certain market, handle business risks tactfully while expanding successfully add up the numbers. "Proven ways to lower the cost of operations and customer acquisition speaks loud of a profitable business. Such a business is scalable and needs further funding to speed up the growth or expand. Though it is possible many times to raise money at lower valuations too, but running out of cash does not include signs of a progressive company. Conserving and spending money judiciously is the art that is learnt on the go," averred Joshi. Every new entrepreneur needs guidance and the right investor provides exactly that. An investor with the requisite background, industry expertise or specialization in business ventures offers advice, inputs and guidance based on their experience with various companies they work with. Or they could be because they were successful entrepreneurs themselves. "In addition to money, proper hand-holding and guidance should be something that every entrepreneur should look for. It is important to differentiate between the ones who seem to know enough about the project/industry to cast an opinion but not substantial to help manage a situation," asserts Joshi. Besides, when prominent people from the industry associate themselves with a start-up, not just the valuation of the company but also its business grows by leaps and bounds. And then, there's no stopping! This one is tricky but then when has running a company been a cakewalk! The cost of acquiring a customer should be low. With digital media penetrating the businesses aggressively, reaching out to the right customer is not a big deal. Try content marketing or word of mouth if it works for you but remember the bottom line is—cost of customer acquisition should be lesser than the lifetime value of the customer. "Judging the market right in terms of need for the product, its usefulness, timing, market size, and pricing leads to consistent and successful customer acquisition, as these are all cohesive factors. "Rather than various marketing gimmicks - a well-defined process that leads to scalable ways to acquire the customers and thereafter monetize them at a higher level than the cost of acquisition is the solution. PR also plays an important role in the same. A press coverage is about positioning from the company's point of view and perception from the reader's point of view. However, it is important to see how much does the coverage talks about the progress made in the business. Startups need to judiciously manage and mention the press coverage while fundraising, evangelizing among others," said Joshi.